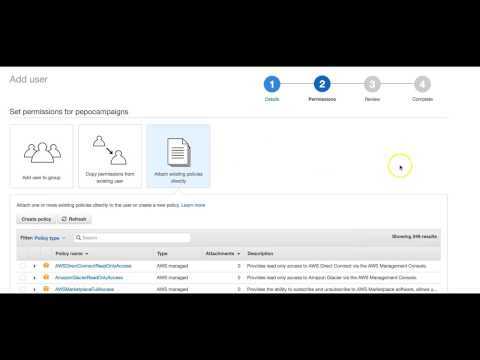 Pepo Campaigns is a cloud-based email marketing platform for the Amazon Simple Email Service (SES) which offers an email template library, drag-and-drop template builder, dynamic email automation workflows, A/B testing of campaigns, custom subscriber attributes, mailing list creation & segmentation, real-time reporting, and more. With Pepo Campaigns, users can create customized email using templates from the built-in library of responsive email templates, input custom code, and modify existing templates or build their own using the drag-and-drop email designer. Standard and A/B testing campaigns can be created, with the latter enabling users to compare the effectiveness of different subject lines, sender names, or email body content. The winner of an A/B campaign can be selected manually, or automatically based on opens or clicks. Campaigns can be sent immediately, or scheduled for delivery at a later date and time. Users can also create automated workflows for autoresponders, welcome email sequences, and more. Pepo Campaigns allows users to record custom attributes in contact profiles, in text, numeric, and date formats. These attributes can be used to segment subscribers for targeted campaigns, and to personalize email content. Fallback attributes can also be setup to maintain consistency across personalized messages when an attribute does not have an associated value, such as sending emails in English when there is no other language listed. Mailing lists can be created and managed through the list dashboard, and segmented according to demographics, interests, and other attributes. The list dashboard also gives users an overview of the subscriber count, average open rate, and average click-through rate for each list. The reports dashboard summarizes each campaign, and presents color-coded performance indicators for total emails delivered, total opens, open rate, total clicks, click-through rate, click-to-open rate, and hard bounces, unsubscribes, and complaints. Opens and clicks for the first 24 hours are visualized on a line graph, giving users insight into whether they are sending campaigns at the optimal time. I started using Pepo a few weeks ago and I can truly recommend it, it is the best email cloud on the market, the account management team is very helpful and available 24/7 in case you have any questions or doubts. Sending emails was never so simple and effective!It is very easy to use and you can build beautiful newsletters! The technology is very advanced and the price is ridiculous for what you get! Users can create emails using templates from the built-in email library, or design templates with the drag-and-drop editor and advanced HTML editing. Custom attributes can be created to store contact information in text, numeric, and date formats, enabling the collection of variables including name, age, location, date of birth, language, and more, allowing emails to be personalized with this information. A/B tests can be run for email campaigns to compare the performance of emails with different subject lines, sender names, or content, with automatic or manual selection of the winning variant. Campaign reports include a campaign summary covering the number of recipients, subject line, campaign type, and scheduled delivery date and time, and color-coded positive and negative KPIs including total emails delivered, total opens, open rate, total clicks, click-through rate, click-to-open rate, hard bounces, unsubscribes, and complaints, or the number of emails reported as spam. Multiple email lists can be created and managed through the list dashboard, with overviews of the subscriber count, average open rate, and average click-through rate for each list, and the ability to analyze list performance over time and compare individual campaigns to list benchmarks. Below are some frequently asked questions for Pepo Campaigns. Q. What type of pricing plans does Pepo Campaigns offer? Q. Who are the typical users of Pepo Campaigns? Q. What languages does Pepo Campaigns support? Q. Does Pepo Campaigns support mobile devices? Q. Does Pepo Campaigns offer an API? Yes, Pepo Campaigns has an API available for use. Q. What other apps does Pepo Campaigns integrate with? Q. What level of support does Pepo Campaigns offer?